The bottom axis indicates the level of production – the number of units you make. The left axis indicates value in pounds. 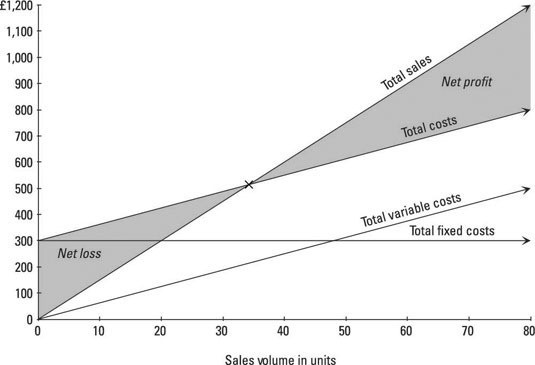 Where total sales equals total costs (‘x’ marks the spot), the company breaks even (the break-even point).